Today marks the first announcement of Alter Bridge frontman Myles Kennedy’s foray into a solo career with his newly announce Year Of The Tiger. A jack of all trades when it comes to being a frontman, Myles Kennedy unbeatable vocal prowess has become the stuff of legend. 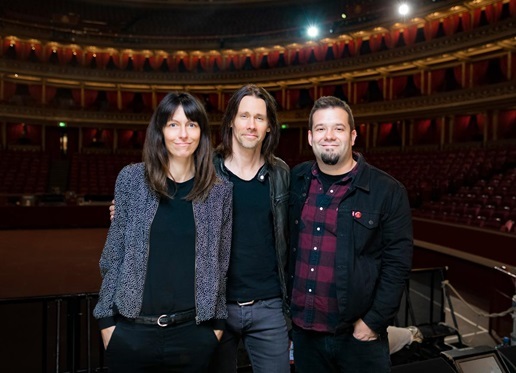 With band Alter Bridge shooting for the absolute stars with their Download support slot back in June and the phenomenal orchestral performance at London’s Royal Albert Hall, it seems that the stars are aligned for Kennedy. Signing with Napalm Records, Kennedy has revealed that he shall be releasing his debut solo album in 2018. Scheduled for release in Spring 2018, you can be that this record is going to be on the tip of everyone’s tongue. Especially given Kennedy’s absolutely brilliant performance on The Last Hero, Alter Bridge’s most recent output. It has to be said that it will be interesting to see what Kennedy does with this new freedom that he will have, being in control of the show entirely himself and how he might work when not in a band dynamic. Either way, I’m excited and I hope all of you lot are too! I also wonder if he might be born in the year of the tiger and that might be a hint towards the albums title? We’ll have to just wait and see! Thats all we know so far but stick with me and I’ll make sure you know just as much as I do!